Is it the set of a V magazine shoot or the chicest tattoo parlor on Earth? 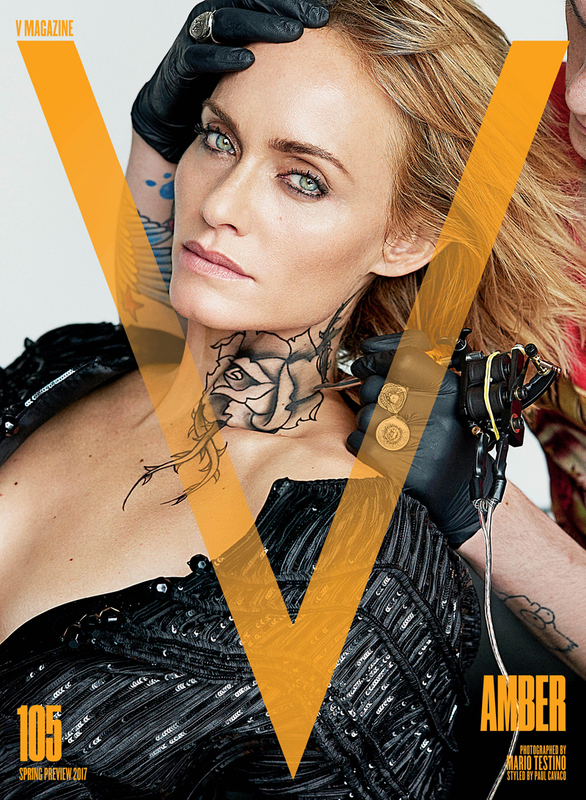 Top models from Kendall Jenner, Joan Smalls and Lara Stone to Carolyn Murphy, Amber Valletta, Ellen Rosa, and Lily Aldridge got inked for V 105, its first issue of the new year, and Mario Testino captured the art in action. The tattoos (authentic looking, but not permanent!) were drawn on every part of the body imaginable, and some required provocative positioning. A snake on Kendall’s derriere, “Lucky You” on Lara’s inner thigh and a life-size rose on her cleavage…you get the picture. V enlisted the talents of body artist Jenny Chin for the temp tattoos. Check out the covers, below, and see more from the shoot here or when the issue hits newsstands January 12.